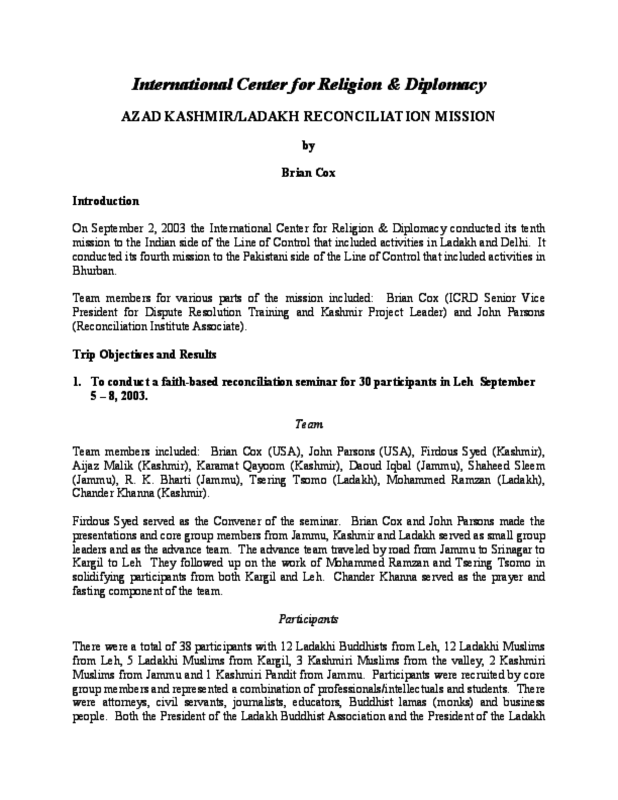 On September 2, 2003 the International Center for Religion & Diplomacy conducted its tenth mission to the Indian side of the Line of Control that included activities in Ladakh and Delhi. Copyright 2003 International Center for Religion and Diplomacy. All rights reserved.